Two limited edition cat things coming out on the same day!!! Trick or Treat Cat T. They have butts on the back!!! 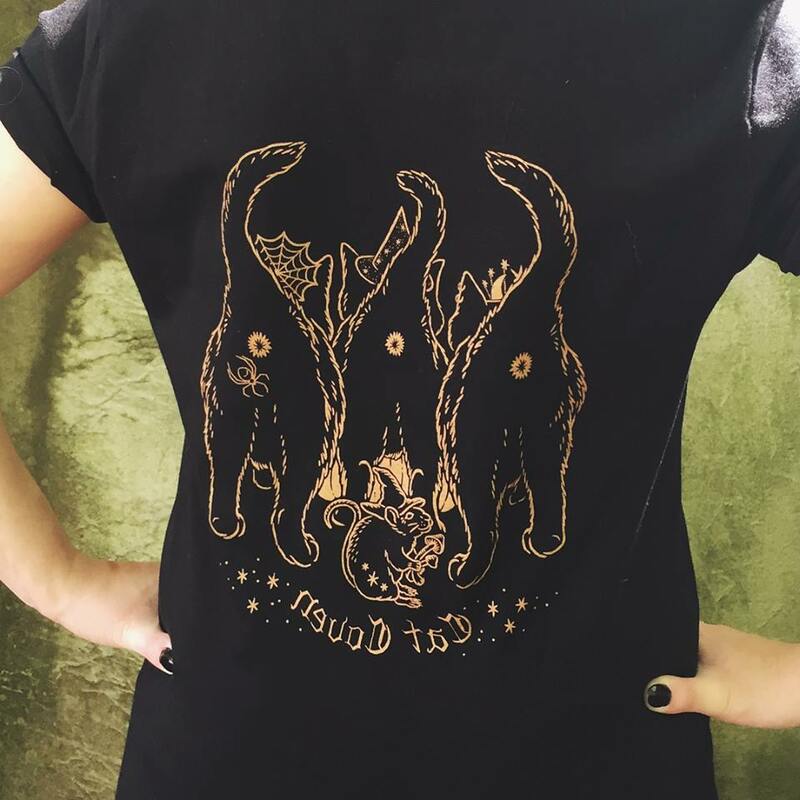 The Pre-order for this T is only going until Aug 29, so grab it today! 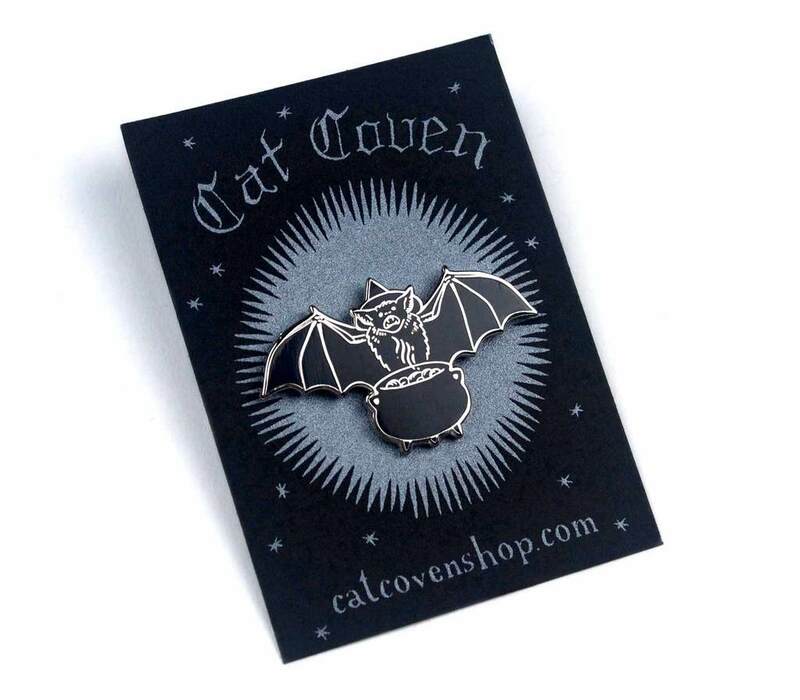 I couldn't resist this cute little Bat Witch Pin. 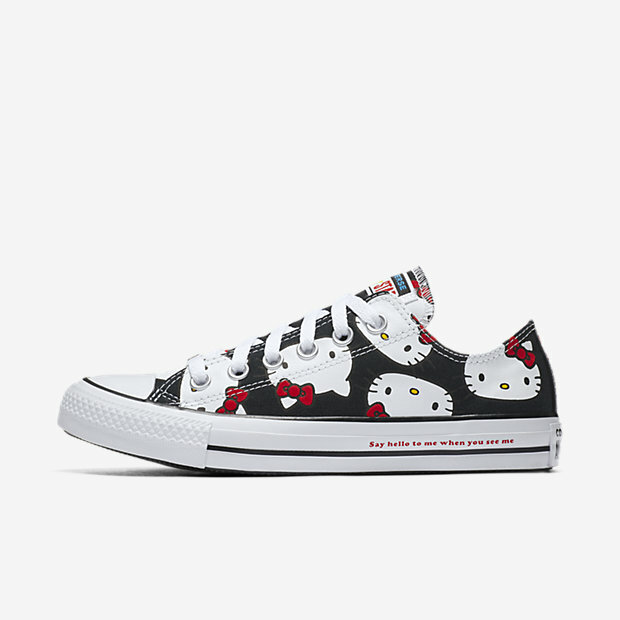 The second thing that perked my cat interest is that Converse is releasing a Hello Kitty line!!! 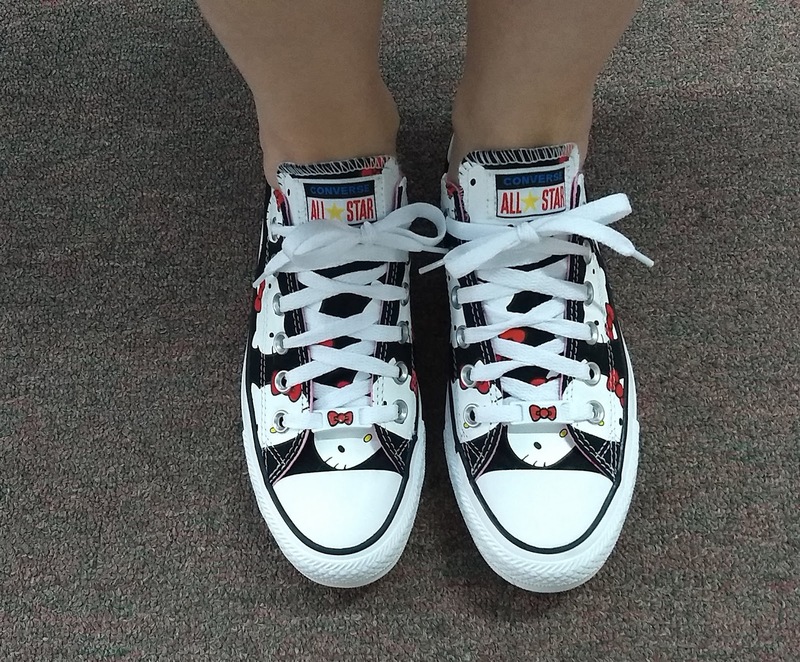 I ended up purchasing the TUK Hello Kitty Mary Janes when they came out, but they were never quite the right fit since I wear a Ladies 7.5M and TUKs only come in whole sizes. I have to stuff them with a giant shoe insert, and put them in the tightest buckle hole and even then they rub on my heel. Update: They came in & fit!!! Those Converse are TOO CUTE. Converse rules. I just saw this, you should see my newest ones! 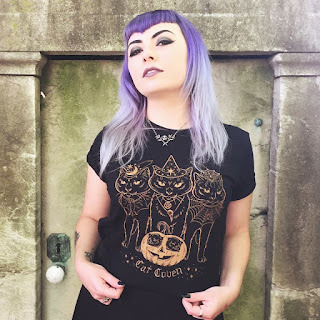 I'm Julie Ann, and this blog is about adventures with my two favorite things: cats and horror! SPCA Photoshoot with Supermodel Cats! ©2017 Fluffy The Vampire Slayer. Simple theme. Powered by Blogger.